I’ll be honest with you, traveling with kids can be tough. I love to travel and am the first one to start planning our next family trip, but in the back of my mind I’m always hoping and praying it all works out. Please no melt downs, please be into the activities, and please sleep! This past weekend we nailed it! Our family trip was a total success (well except for the sleep, but that’s always a struggle). 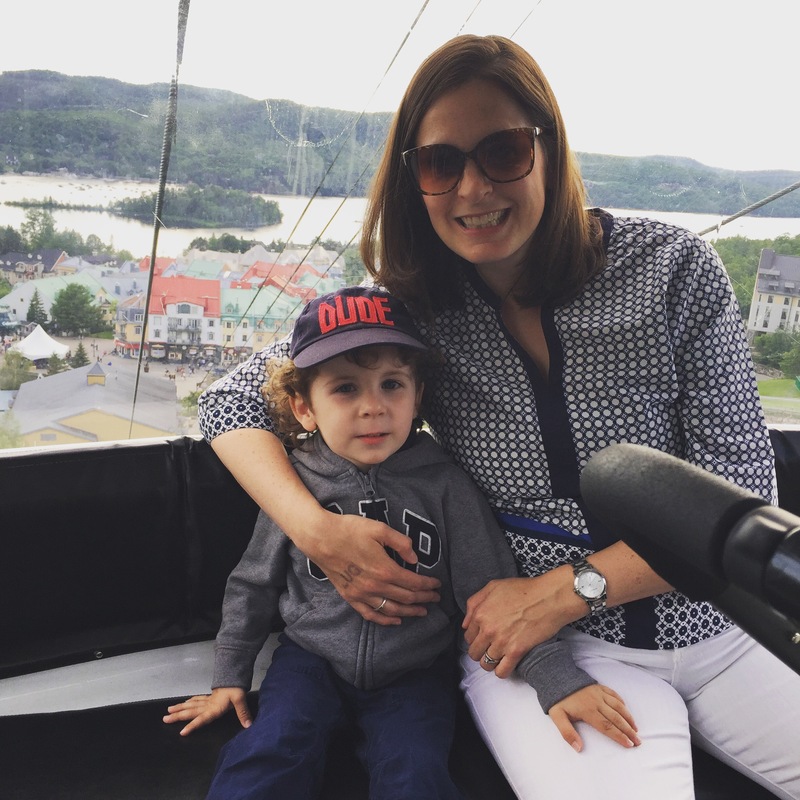 We spent the weekend at Tremblant Village with the kids and had an amazing time! The village itself has a lot to offer. We stayed right at the bottom of the village, which is still very much in the action. This made enjoying the sights and activities very easy. Taking advantage of activities can sometimes be tricky with little kids, but there was no shortage of things to do. 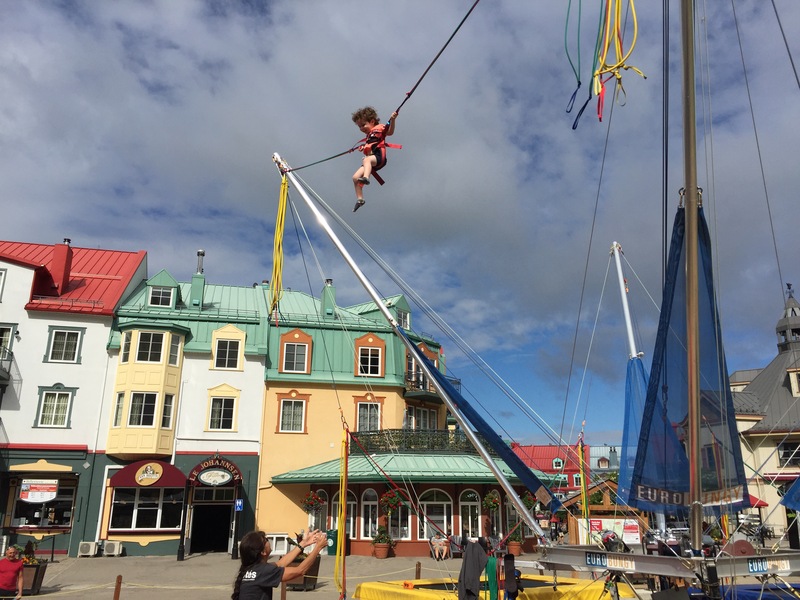 The EuroBungy, Luge, Gondola Ride, and Captain’s Harbour Boat Rental were all big hits and very fun and easy to do with a 3 year old. Our youngest one would sit on the sidelines with either myself or my husband and get to watch us take turns hanging with big brother. We were really looking forward to hanging out at the beach because the beach club is happening! 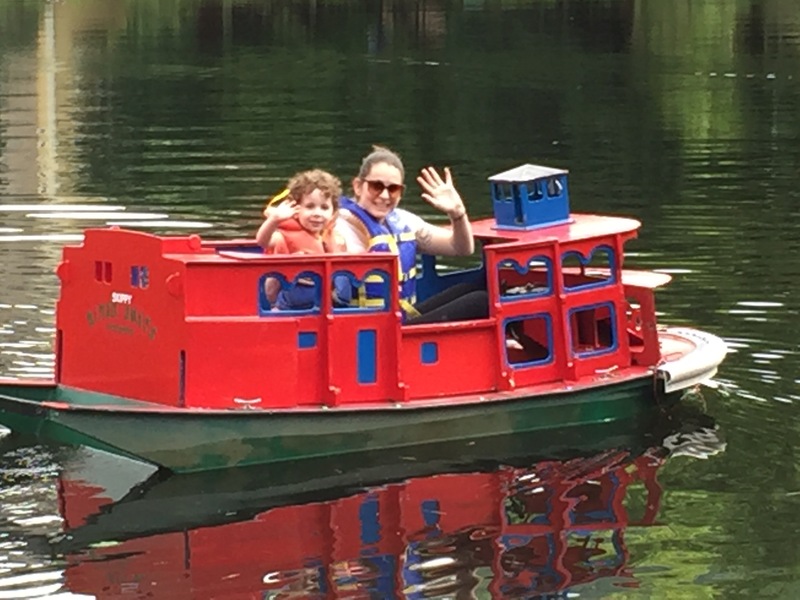 They have non motorized boat rentals, an iceberg climbing wall which lets you will you climb up and jump into the lake (my husband really wanted to do that) as well the beautiful beach volleyball court, lounges chairs and a great snack bar. However the weather kept tricking us and with two kids, we didn’t want to take the chance of getting poured on, so we spent the majority of the time in the actual village. That being said we do look forward to going back with their two kids and spending the day at the beach! (The beach club is about a 5-10 min walk from the village. Totally manageable but worth a note). 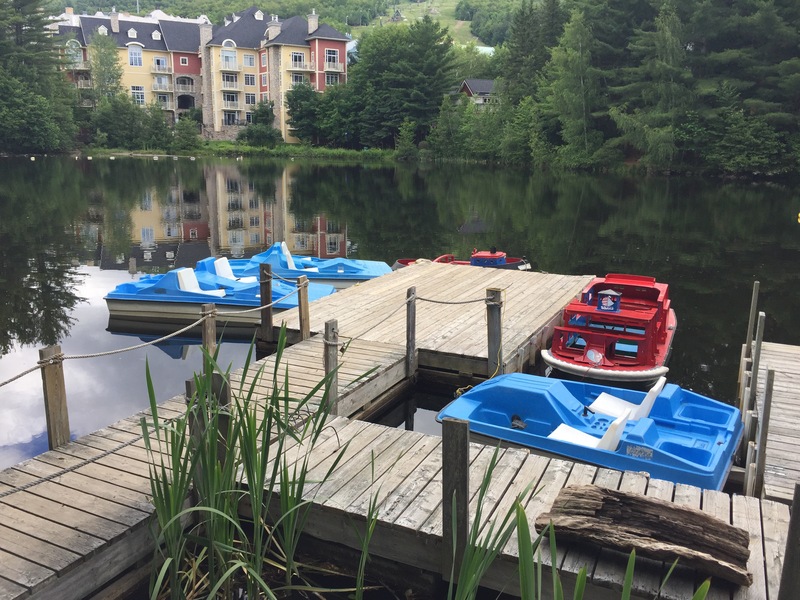 Here are some great tips when spending a day, weekend or even a week at Tremblant. Climbing Tower (I wanted to, it turns out you need closed toe shoes. My Birkenstocks aren’t climbing appropriate). Arriving early in the day means a lot less line ups. 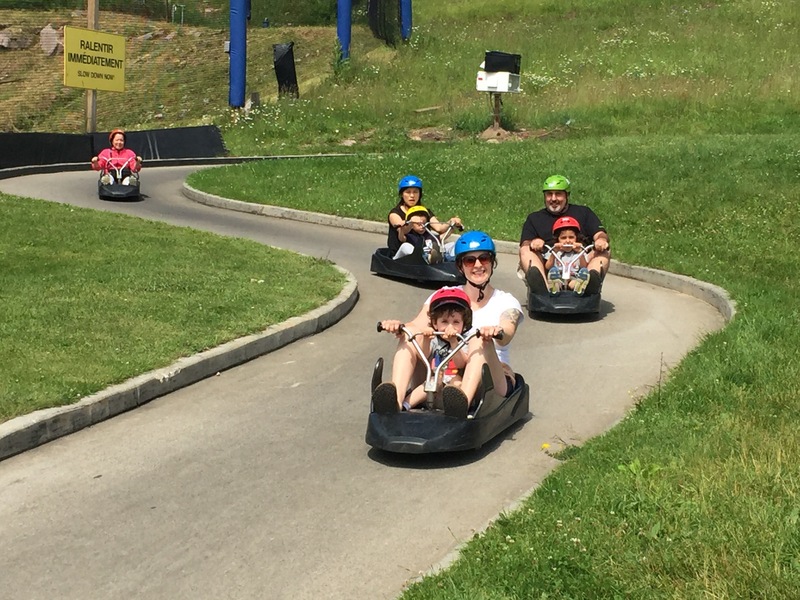 The Luge, climbing wall and the EuroBungy are right at the heart of the village and can be very popular. My suggestion is to get up early (that’s not hard to do with kids) and be one of the first ones there. Take it all in and go with the flow! From ice cream pit stops to buying more diapers, the village has it all and you won’t need to stress about forgetting something at home. Stay in the village, it makes it very easy to get up and go as well as go back to the room and freshen up (or for nap time). 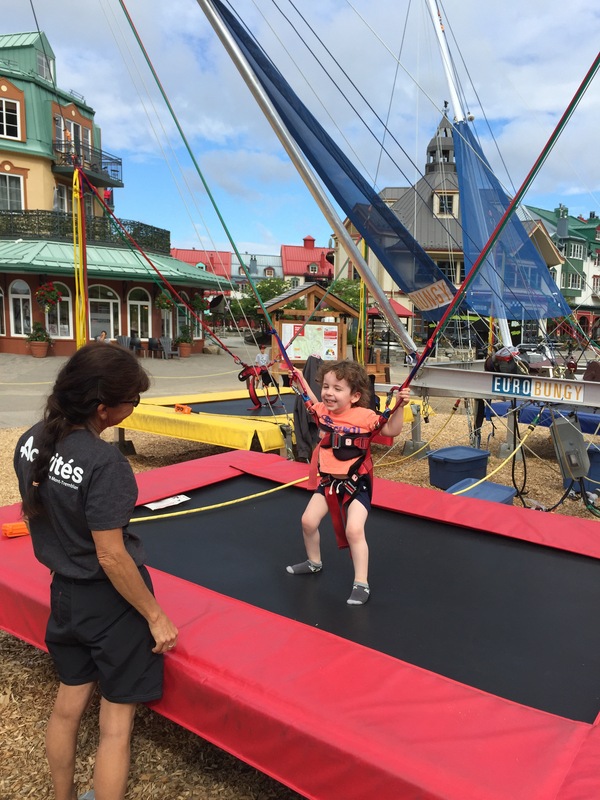 You could easily spend the weekend, the day or even the week at Tremblant and find lots to do for the entire family. 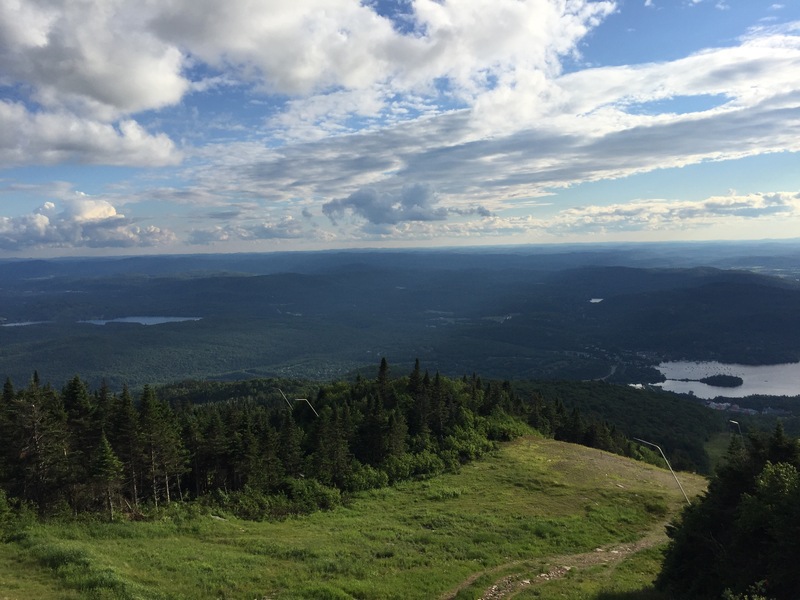 We certainly recommend it, and at less than an hour and a half away from Montreal, it’s the perfect getaway!